These crabeater seals are relaxing on the ice. Today I want to write about an animal that has a really cool name, the crabeater seal. These cool seals grow up to 260 cm long and can weigh up to 300 kg. Despite their names, crabeater seals don’t eat many crabs, but mostly eat Antarctic krill, a shrimp-like animal that can be found in huge numbers where they live. They have special teeth that help them to filter water to make it easier to catch krill. They hunt at night and swim for over 8 hours to catch their food. They are one of the fastest seals on dry land and can crawl faster than a person can run. Only 80% of baby crabeater seals reach adulthood due to being hunted by leopard seals. Adults are also sometimes eaten by orcas. Crabeater seals live throughout the Antarctic region and are the most abundant species of seal in the world. 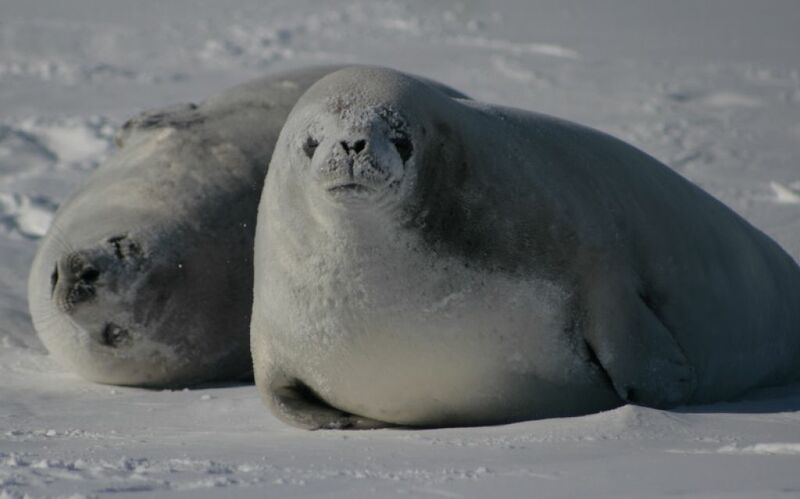 Are there any other interesting facts that you would like to share about crabeater seals?